In what we’re secretly hoping is actually a long-game strategy to punk Donald Trump by winning the Emmy he so desperately wanted—but never got—for The Apprentice, Barack and Michelle Obama have signed a multi-year production pact—or, as the company calls it, a “storytelling partnership”— with Netflix. 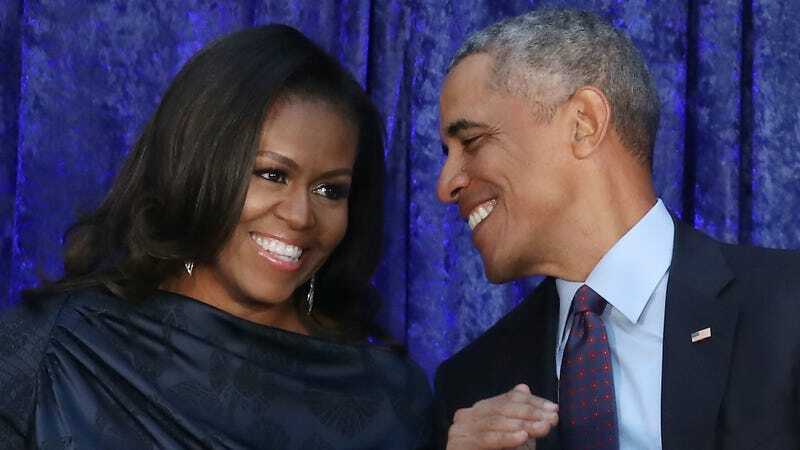 The former president and first lady have formed a company, Higher Ground Productions, through which they’ll produce, well, all manner of content: Feature films, documentaries, docuseries, scripted series, and unscripted series are all on the table. Whatever form their projects take, the Obamas will build upon the inspirational message of strength through unity and diversity they built during their time in the White House and continue today on social media. They may appear on camera as moderators or hosts for some series, and work strictly behind the scenes on others, as a source tells CNN. Content produced by the Obamas will be available to Netflix subscribers worldwide, a number that currently includes 125 million households in 190 countries.